How do I choose a reputable keepsake maker? There are a lot aren’t there? You are choosing a maker to create your own special keepsake that needs to last the test of time, be well made with love, care and quality materials and also look good, so you must choose carefully. It is likely to cost a reasonable amount and the garments that mean so much to you cannot be put back together again, so you need to get it right. You need to find a maker that you can trust – with your memories, with your clothing, with your money! The best thing to do is look at various websites and social media pages carefully. Do you like the style of the keepsakes they make? Do you like the photographs? Are they consistent and look like they have been made by the same person and photographed in the same place? Look at the close up images to see if the stitching looks secure, and does the bear or quilt look good quality? Ask to find out if your keepsake will be sent to a third party, and if so, ask to see examples of that specific person's work. A quality keepsake with attention to detail using quality lining, threads and stuffing, that has been well made with love and care takes many, many hours and should never come cheap. The old adage ‘if it looks too good to be true, it probably is’ certainly applies here. Any reputable keepsake maker won’t mind you asking a hundred questions, so ask away. Do they have a website? Most reputable businesses will. Does their communication sound professional and courteous? Once you are happy with all that, contact the maker, establish a line of communication and take it from there. Can any clothing be included? More or less. Most baby clothing, sleep suits, pyjamas, t-shirts, tops, dresses (not tiered), trousers, rompers, vests, snowsuits, light coats and jackets, shirts, school uniforms, sports kit, even light blankets, burp cloths and larger bibs. I will always try to use everything you send but there are some things that don't work as well as others. Remember that lumpy clothing will make a lumpy quilt. If any of the above do hold special memories I can try to work around the problem – just ask. Some are very time consuming to deconstruct and I may need to make an extra charge for the time involved. Keepsake bears are not washable. They are not toys so should not get dirty. Any little marks that might get on them should sponge off with a damp cloth and a regular vacuum with a dusting tool should keep them looking fresh and good. Remember to keep them out of direct sunlight as the colours will fade in time. Quilts – please remember that baby clothes are manufactured for a few months wear and not for a lifetime of use and laundry. Your keepsake quilt is a keepsake and should be used for display and visual purposes e.g. across a made bed – it won't withstand the rigours of everyday bedlinens. Washing instructions are given because accidents always happen and it will need carefully washed once in a while. Before you send your clothing, please check all the laundry labels. Your quilt will need to be washed according to the most delicate item that has been included. E.g. all the sleepsuits may be able to be washed at normal temperatures but a delicate little netting tutu or t-shirt with a plastic motif may need a gentle hand wash. I always recommend that your quilts are hand washed gently, to be on the safe side and to avoid fading and shrinkage. Be careful if you use an iron as many of the motifs used on children's clothing can and will melt. A cool iron on the reverse is always best. How many items are needed to make a keepsake bear or quilt? I was always try and use what you send whatever it might be, so if you send all sleepsuits and one pretty little netting dress, it will be used but obviously will make the whole quilt that bit more delicate. I've never been a great decision maker – please don't sent too many garments unless you want them all used as I can spent hours and hours trying to guess which ones are your particular favourites, and I'm terrified I'll get it wrong one day. Returning unused garments could increase your postage costs. Of course. Most people like to have a name, date of birth and sometimes birth weight on the bear's paws, or on one square of the quilts. The less text the larger the embroidery can be, meaning better quality stitching. Nicknames, teams, clubs, anything you like. What about applique or motifs on the clothing? I'll always include as much detail as I can in your bear or quilt, e.g. applique, motifs, logos, pockets etc, but I am limited by the size of the pattern pieces for bears and the squares for quilts. Sometimes I can use them on the bear's tummy and this is quite popular, but the largest size is about 12cm by 10cm (5in x 4in). Please bear this in mind when selecting your clothing. Let me know if you don't want any included. For quilts, larger detail can be used very effectively but may have stitching across it once finished. The squares I use are 6 inches (15cm). 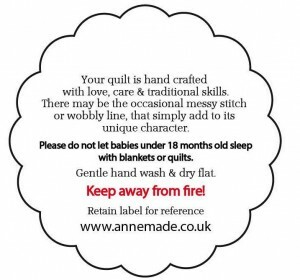 A baby's item of clothing may be worn a few times and then outgrown, but a quilt should last a lifetime: please be aware of applique and motifs on the clothing and only send those that are durable and won't melt if ironed or perish in time, e.g. plasic or laminated images. What is the backing fabric? I always use a 100% cotton interlock jersey. It is soft and warm, and balances well with the fabric used for most sleep suits, and the 100% cotton batting. 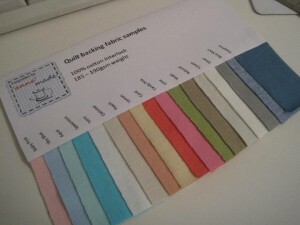 Can I choose the colour of the quilt backing fabric? What is inside the quilts? Only 100% natural batting is used to ensure softness and warmth. Cotton is the best choice for durability and long lasting good looks. It's natural and breathable and quite thin considering the warmth it gives, making it the perfect choice to complement the cotton of your baby's clothing. I use 100% cotton as standard, but also available is 100% bamboo which is a little more expensive but but even softer and is naturally antibacterial. What kind of stuffing is used in the bears? I use CE approved washable, carded polyester stuffing for the bears. They are stuffed very firmly and are not cuddly. Who will be making my bear or quilt? No-one other than me, Anne, will ever be making any part of your bear or quilt. 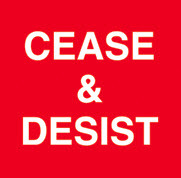 I do not send anything to outworkers or friends. I do all the cutting, ironing, lining, sewing, stuffing, padding, stitching, finishing and packing & posting, not forgetting all the administration. This is why you have to wait a bit before you get your bear or quilt. Your parcels and clothing are treated with care and respect from the moment they arrive here until they are safely home with you again. The bears take between 8 – 10 weeks from the time I receive your parcel, the quilts can take up to 12 weeks. I do need to have cleared payment before I start making your bear or quilt. Payment can be made by cheque, enclosed with your items or by PayPal to keepsakes@annemade.co.uk Don't forget to add on the postage cost. Why do I pay by personal cheque? I'm working out the best way to do this and will update this shortly. Meanwhile please get in touch via keepsakes@annemade.co.uk if you'd like this facility. There is rather high demand just now and the waiting list is closed and will open again once I have worked my way through a quantity of keepsakes. To be kept informed of when it will reopen, please sign up to my newsletter for updates. Once I reach you on the waiting list, full details for ordering and an order form will be sent to you by email. If you change your mind after posting your package to me, let me know within 14 days and, in accordance with distance selling regulations, I will be able to offer a full refund (excluding postage costs), however once I have started making your keepsake no refunds can be given. Sorry. The insurance on all parcels will be no greater than the value of used clothing, which is minimal. Royal Mail 'Signed For' parcels have a maximum insurance value of £50 which would cover the replacement of second hand sleepsuits, but not of the sentimental value they hold. Other services offer different compensation values but rarely cover the cost of a replacement keepsake. Royal Mail prices are expensive but I don't feel I can trust other carriers with your precious memories so will continue to use them. If additional insurance is required, please ask and I'll enquire and provide a quote. Are the bears safe for children? First and foremost, I do not have CE Toy Standard accreditation. As I use clothing and fabrics supplied to me by others, I would never be able to achieve CE Toy Standard accreditation without every individual item made undergoing rigorous and destructive testing (amongst other things, the test involves setting fire to them!!). All items are handmade and cannot withstand rough handling. I am not in control of the condition of the clothing sent to me, and they may be frayed or damaged. As my keepsakes are generally made from used clothing, they may be more fragile than items made with new fabrics. They may have buttons, applique, motifs, labels and or ribbons that are part of the original clothing and these could pose a choking hazard. The arms and legs are joined to the body using buttons which could pose a choking hazard to small children and babies in the unlikely event that they become loose. A very good question! I'm a Scottish lady living in Newcastle upon Tyne with my long suffering husband and a wonderful sewing machine with which I never really got to spend much quality time. Since being made redundant from a career in IT, I decided to have a total change and make my hobby into a way of paying the bills. I have two very grown up daughters and am an exceedingly young (in outlook at least!!) grandma to 4 (yes, four – I'm in shock!) fantastically beautiful, talented and generally wonderful grandchildren, who own an increasing forest of test bears, blankets and a few other things that never got past the prototype stage! My mother did a lot of sewing and while I think I hindered rather than helped her, I learned a lot by watching and absorbed her skill and techniques. I have inherited her fantastic sewing box and extensive categorised(!) button collection. Her sewing machine has long gone now, replaced by my much loved 'baby' with lots of bells and whistles that my mother would have loved to have had – who knew something like an automatic needle threader could be so exciting!! If I'm not at my sewing machine, I'm helping my working daughters with childcare, scooting to and fro on the school runs or making all sorts of fantastic creations out of lego or play dough. I could see them far enough at times; don't tell them, but I'm immensly proud of them all. I will always try to avoid stains where possible but if you'd like these inevitable parts of life included, please let me know. Stains again – sometimes a stain does not become apparant until the pattern piece has been cut and it is fused to the lining using high heat (particularly milk and some fruit juice stains). If this happens and I have enough fabric, I'll try to use an alternative piece of fabric, but sometime it is unavoidable. Please don't send more clothing than you want me to use. It will cost more in postage to get it to me and likely additional postage to get them back to you again. If you are on my waiting list you will be contacted in order of placing, however the keepsakes are made in the order of parcel arrival. This means that someone after you on the list may receive their keepsake sooner if their parcel arrives here before yours. Due to distance selling regulations, I will hold your parcel for a minimum of 14 days before commencing any work. Should you change your mind, contact me as soon as possible for return of your parcel and a full refund (excluding return postage costs). Oooh! That’s a good idea – I’ll do that too. Why not? Go for it. There are a lot of us out there and there is always custom for a good honest maker with respect and integrity. All I ask is, do it your way and don't copy mine or anyone elses style or unique selling points. I've lost count of how many times I've been copied, and believe me imitation is not flattery, it's just plain annoying, incredibly rude – not to mention illegal. It just shows what a lack of imagination some people have. I know that we all have to get our inspiration from somewhere and I am very flattered if someone gets theirs from me. All I ask is that you use that inspiration to make something that is a bit different – unique and has your own twist, whether it is what you say or what you make. There ar e pages out there that have got direct copies of the text from this website, and others who rather stupidly lifted some of my photos and passed them off as their own. It took me a long time to write the content of this website, and it's so irritating to know that some people might think it is their right to just help themselves. When I am made aware of a copycat (thank you to my many loyal customers and friends), I will always follow through and so far a simple friendly conversation resolves the issue but I will protect my intellectual property rights via the law should I have to. And for the record, every word on this website, I have written myself and every photo has been taken by me. The fabulous Pauline of Funky Friends Factory has given me permission to use her pattern although I have changed it a little to suit my style.